Dubai has become one of the most attractive tourist destination in last few years. The infrastructure development of this country has been unbelieve and this development is still in progress. Dubai is the perfect holiday destination for you in this Summer. If you haven’t been to this country before, you should be aware of environment and local laws. Being respectful to local laws is very important no matter which country you visit. You must also consider the weather as the heat of Dubai can be unbearable for you. Here are some other tips which can help you to have a great trip in Dubai. Dubai is enriched with a cultural diversity as people from around the world come here each year. However, there are some local rules and culture which you should be aware of. Dubai is a Muslim majority country and therefore the culture and costumes are different from European countries. Public kissing and other display of affection will not be taken lightly by the locals. You should also avoid revealing and tight cloths as the people here are very conservative. Of course, you can wear swim suit in the beach area which is exclusively for tourist only. You just have to be careful about the dressing when roaming in other areas of Dubai. You should know about the currency before travelling to any country. The currency of Dubai is Dirham and it can come in different number of notes like 10,20,50,100,500 and 1000. You may notice that service charges mostly added with the bill in different service store. If you want to tip your hotel service, you may leave a small percentage of the bill. You will find plenty of money exchange house throughout Dubai, so exchanging money won’t be a problem for you. However, you should avoid the Airport money exchange as those are very expensive. Walking around on the street of the Dubai is not a good idea at all. The heat is extreme and something unbearable. If you are not used to this kind of heat, you may end up burning your skin. The public transports of Dubai are air conditioned with excellent sitting condition. These transport are also very reasonable in price. You can use those transport to travel across Dubai. You will also find Trams which are the latest inclusion in Dubai transport system. You should avoid taxi service as those are very expensive. Public transport is certainly the best option to travel across Dubai. Like other Gulf countries Dubai is well reputed for hot weather with extreme sun. The temperature reaches up to 40 degrees every now and then. You find a cold night in Dubai if you are lucky enough because there is hardly any. You should avoid travelling to Dubai during June to September months as these are the most heated months. December and January are probably the best months for travelling to Dubai. 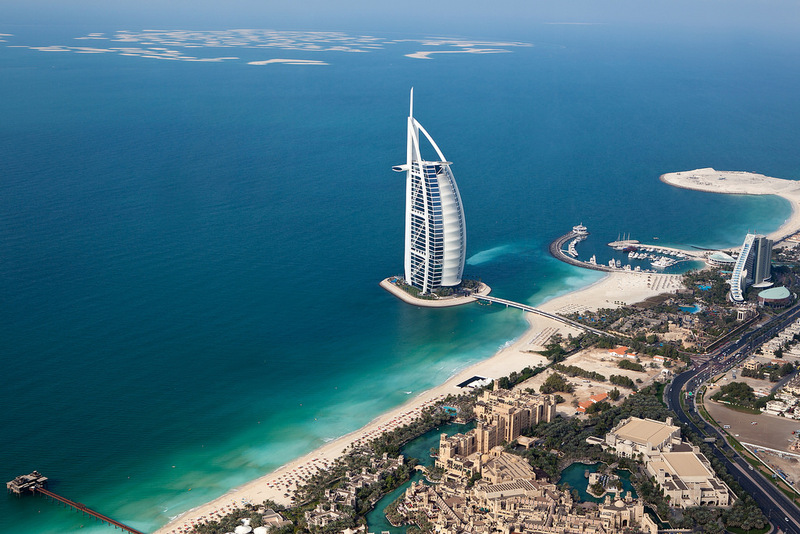 However, the warm beaches of Dubai are enjoyable throughout the year.